Spring is here! Hopefully you’re enjoying this beautiful, refreshing time of year like we are. Since you don’t want to be bogged down at home, we thought you could use an iPad Mini for when you’re on the go. We are dying to share more fabulous recipes, crafts, activities, ideas, and motivation with you, and we thought giving you an iPad Mini would make it a little easier to stay connected. It’s pretty simple… enter below. What a great opportunity! 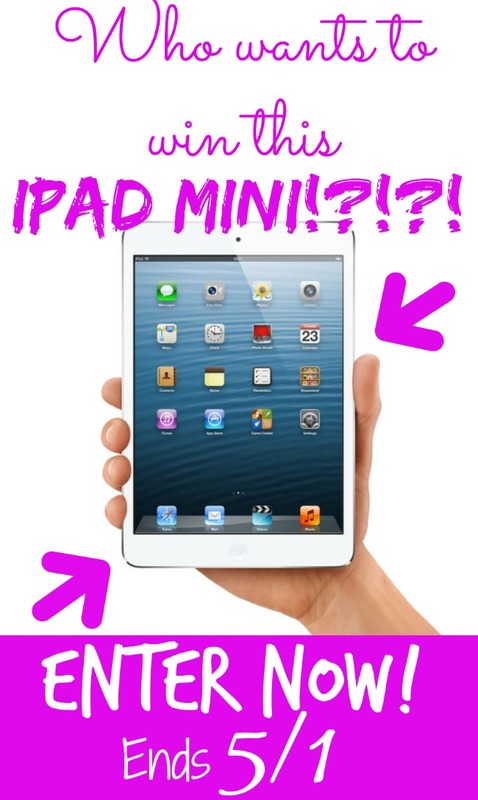 I would love an iPad mini! WOW COOL THING AN I PAD SOUNDS PRETTY FUN TOO OWN AND A GREAT OPPORTUNITY YEAH!!!! !